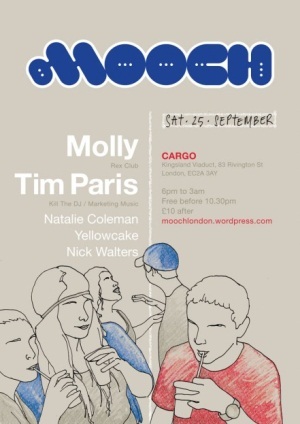 It’s A Fine Line member and Marketing Music label boss Tim Paris joins Rex Club resident Molly as the guests for this new edition of Mooch party at London‘s Cargo venue. This entry was posted on September 16, 2010 at 10:28 and is filed under News. You can follow any responses to this entry through the RSS 2.0 feed.